Apple’s iPhone X has been a thousand-dollar gamble that has paid off for the company, but while we seem to know lots about what analysts and media pros think, we don’t appear to have too much feedback on what everybody else is thinking when it comes to the next-gen smartphone. I thought I’d find out. Twitter is the global conversation center for just about every topic you can imagine. Sure, some people take it too far, but so long as you have a Block button you can filter the bots and fools right out. So, what has Twitter been saying about iPhone X? I asked digital marketing service, SEMRush for a little information. 38,5% of Tweets are Neutral. This reflects broad market acceptance of the company’s new Apple toy. 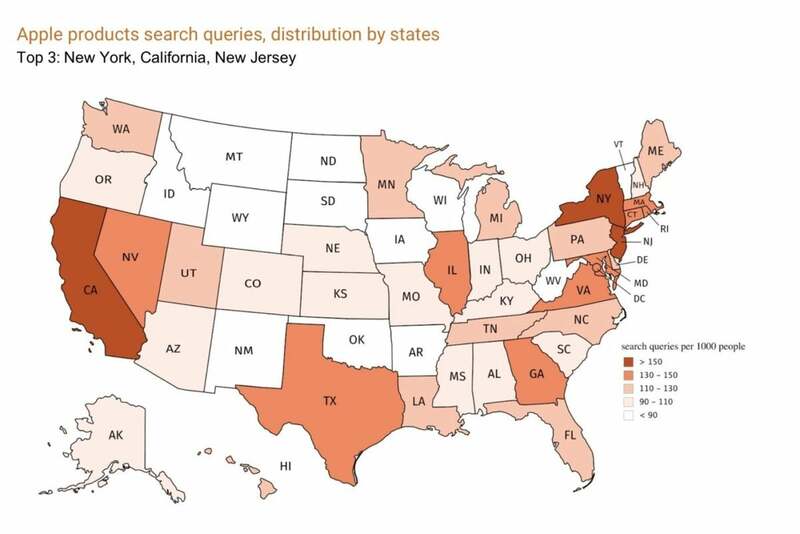 When it comes to Internet searches, there has certainly been a huge spike in interest in the iPhone X (and Apple Watch). So, when it comes to iPhone-related search terms, what sort of things are people looking for? The data suggests that people are really interested in cases for the device, price, and comparisons between the iPhone 8 and iPhone X as they try to make their purchasing decision for the device and any cool accessories they may require. Of the top 16 related search terms, two relate to price. Details around general specifications, including around size, features, wallpaper, colors and reviews of the product fill out the collective curiosity about the product. How do the new iPhones compare? 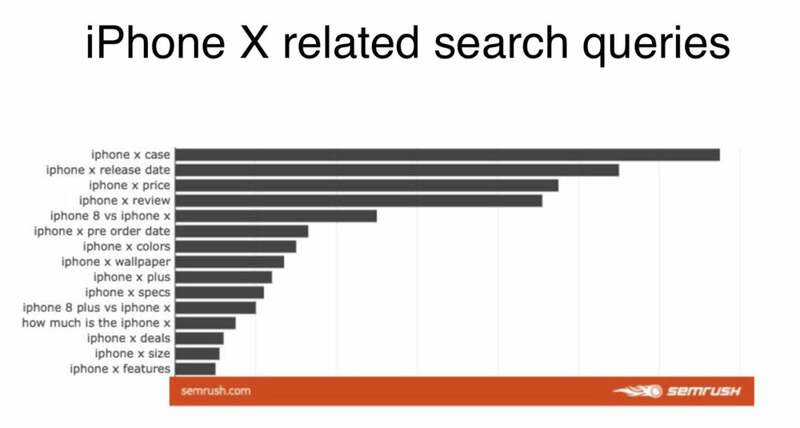 Looking back on previous years, SEMRush data suggests that the iPhone 8 is a surprise winner in the curiosity stakes, suggesting we’ll see strong sales on that device across the rest of the year, however, iPhone X and Apple Watch fill out the top three Apple products (by search traffic) for 2017. 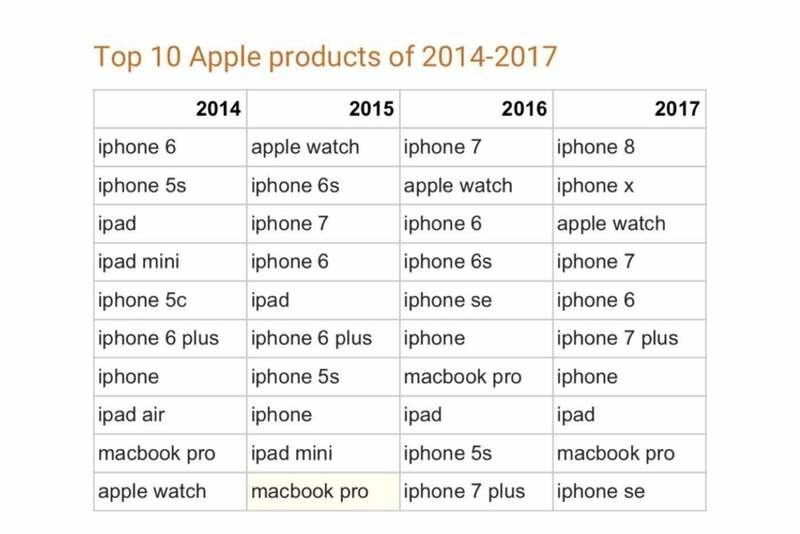 It is interesting that Apple Watch has been a top three product since 2015. Perhaps this is why the device is now the world’s biggest-selling watch model, despite the many critics who’ve claimed (baselessly, as it turned out) that the product has in some way “failed”. What’s also interesting is that while in previous years, interest in the previous generation iPhone has remained strong, this year sees iPhone 8 and X fill out both sectors, suggesting a steady upgrade cycle ahead, as 8 appears to occupy the same space as last-generation models have before. What is also certain is that interest in Apple’s mobile products dwarfs that of the Mac. I’ve also been provided with interesting information around what sort of questions people are asking about iPhone. (I imagine this will excite all the data-driven Apple-focused webmasters out there). How to delete apps on iPhone? How to block a number on iPhone? How much is the iPhone? There is one important snag to Apple’s smartphone story – the tendency for the new models to grab all the attention in the first weeks on sale and the subsequent problem the company has in keeping interest in the products alive. This pattern of interest is why first release quarter iPhone sales are so important, as sales customarily shrink in subsequent quarters. Apple certainly faces similar challenges this year, the data shows. Interest in iPhone X spiked in September around the time of the announcement, saw a second thrill when the device hit retail, and a third clear uptick over the Christmas period. I guess Apple management is hoping that its plans to introduce new services and original content across the coming year will help maintain interest in its flagship product. As will, I guess, its continued focus on enterprise tech.